Here in America we call it Jump Rope, but in Canada they say Skip Rope, either one works, literally. 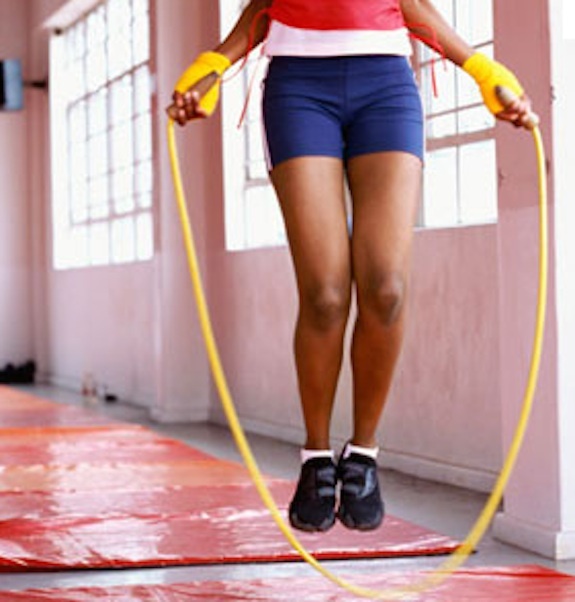 Jumping rope is a great cardio exercise because it can be done ANYWHERE! With the weather being on the colder side in LA, all I want to do is stay indoors…and eat! I like to eat, a lot, so I need to do some form of exercise in order to A) Not feel guilty and B)burn some of the calories I’m consuming. You’re probably all thinking that jump rope is hard on your knees, FALSE! Misconception #1: Jumping rope is easier on your knees than running. Fittip #1: Stay high on your toes and avoid landing on your heels. If you do this, you’ll use your body’s natural shock absorbers and save yourself some grief in your older years to come. Now let’s get to the real reason I jump rope, the calories! If you’re like me: agile, dancer…always trying to get the most work out in the littlest amount of time, then jump rope is for you. You can easily burn 11 calories per minute while you jump rope. If you get a good pace going, you can burn up to 20 calories per minute. You’re probably all thinking that this all sounds good, but how easy is this to incorporate? Let me break down what I do and how it works for me. Stretch!!!! Seriously, do it for about 5 minutes, I have tight calves and if I don’t stretch my calves get really sore. So sore they feel like they’re bruised. No fun. Start Slow!!!! When I haven’t jumped rope for a couple of days, I jump rope for 1 min and then rest for 30 seconds. 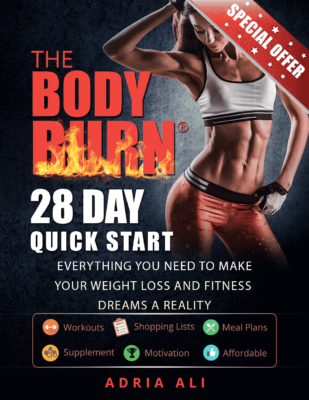 The minute goes by quicker than you’d think and you build stamina so easily, you’ll be wanting to do 2 minute intervals in no time. When you can do all this, then start incorporating jump rope into your weight training and you will be doing one of the best work outs ever. Little resistance and weights is the B.E.S.T.